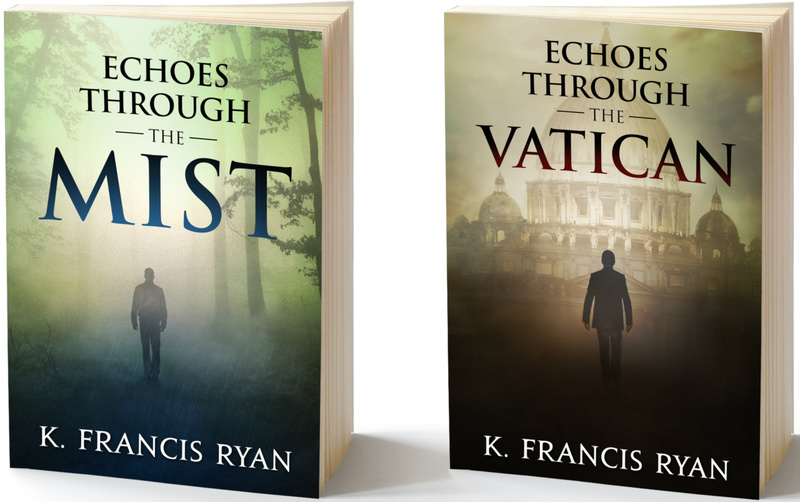 The Echoes Quartet is a series that began as all fiction begins – What-If? In this case the what-if’s were simple ones. What if the reality we know isn’t the only reality. What if our abilities would be limitless if we would accept a reality we can’t see and leave behind the one we know so well. Departing from the usual, the know and the comfortable is the jumping off point for the protagonist of The Quartet, Julian Blessing. In the beginning, Julian refutes it all. He mocks those who are seemingly able to do things they can’t and know things they shouldn’t. He declares his paranormal agnosticism in ringing tones. “I have not heard any clarion calls. I am not going on any sort of silly-assed quest. I do not have a destiny to fulfill. “There are not going to be any witches, wizards or dragons in my future. There is no ultimate good or absolute evil waiting for me around the corner. Forget the God damned magical animals and talking trees too. Not interested.” His mouth was hard and tight. Unconsciously he flexed the fingers of his hand trying to dissipate his frustration. “I am in possession of lots of very unpleasant documents, some from my ex-wife and more from her attorneys.” [he] began to pace as he spoke. “So you’ll understand if I tell you, damsels in distress would be best advised to look elsewhere for a quick rescue. I’m out of that business. I’m retired and plan on staying away from all maidens, distressed or otherwise, for a very long time. “I don’t believe in magic, either good or bad. I don’t need any miracles or spells. Do you guys deal in vampires or zombies? Well, until recently, I worked with a whole crew of bloodsuckers and a couple of Russian undead guys paid me a visit as you recall. Trust me, I’ve reached my lifetime allotment. However, sometimes reality is irrefutable and often deadly. Julian finds himself forced to believe if he is to stay alive against an antagonist who wields staggering paranormal powers. The books each stand-alone, but are, like most series, best read in order to capture the flavor of the set. Give them a read and ask yourself, “What if I could do what Julian can. How would that change my world and effect those around me. You may just find the reality we know isn’t the only one there is.